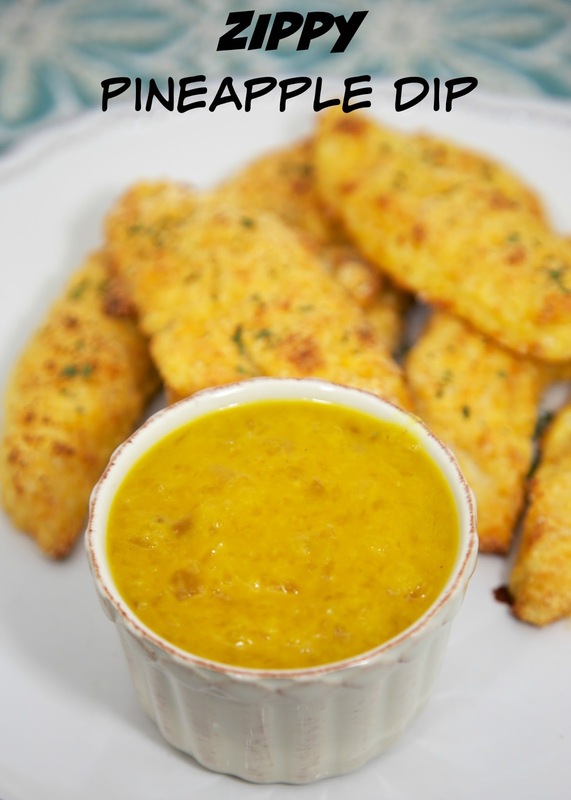 Jezebel Sauce - Zippy Pineapple Dip - great dipping sauce with only 3 ingredients! 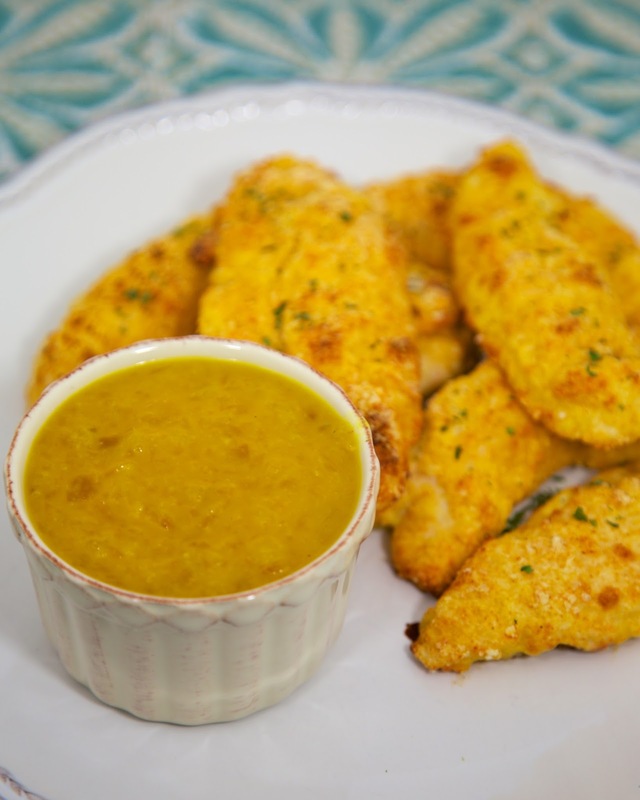 Great for chicken fingers. Can make ahead of time and refrigerate for weeks. LOVE this easy sauce recipe! My Mom gave me this recipe. She ate it at a party, and they were kind enough to give her the recipe. This recipe only has 3 ingredients. I love simple recipes! I went to the store and got the ingredients so I could give this a try. It tasted really familiar. I am pretty sure this is a standard catering recipe. Anyway, it was really good! We used it a dipping sauce for chicken tenders. This makes a little over 2 cups of dipping sauce. I poured it in a mason jar and stored it in the fridge for our chicken finger night. Whisk together all ingredients. Store in refrigerator. I kinda-sorta made this last night. I can't find pineapple preserves to save my life, so I used apricot. And I accidentally bought extra-hot horseradish instead of regular. But MAN was it good! Hopefully I can find the pineapple soon, so I can try it the "right" way! I'm planning on making this tonight to go with some grilled chicken tenderloins. I could not find pineapple preserves either. I bought a can of crushed pineapple in juice. I'm thinking about cooking down the juice to thicken it. And go from there. Do you think that will work? Any advice would be helpful!! Ha! Pineapple Preserves are with the jelly. I bought the generic version at Publix. Not sure how it will turn out with crushed pineapple since it isn't a jelly consistency. Let us know. Unfortunately, I live in the land of Wal-Mart, and our shopping choices are Wal-Mart. (And a few local grocers, but their selection is limited.) According to the WM and Smucker's websites, pineapple preserves are not sold at any store within 100 miles of me. I think I'm going to resort to ordering from Amazon! In the meantime, I snarfed down some leftover chicken fingers and dip yesterday at lunch- even better after sitting in the fridge overnight! This reminds me of the sauce Outback's served with their pork chops. I don't know the ratio for sure, but it was orange marmalade and horseradish sauce. Oh so good ! !